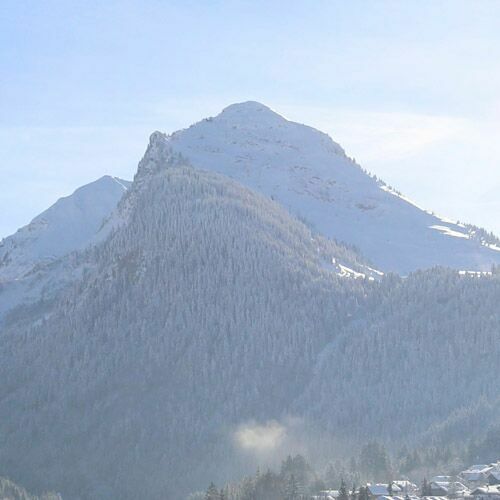 New Year is an exceptional time of the year in Morzine. Ok we have to admit, we’re slightly bias. However, we honestly don’t think there is a better way to see in the New Year than spending it in the Alps with your family and friends. The energy in Morzine over New Year is extra-special. From seeing in the bells from the chalet, hotel or town square, to waking up and spending the first day of the year on the perfectly groomed pistes – ending the year on a high and starting the year on the slopes can never be a bad omen! It’s probably better to ask the question – what isn’t there to do! In the daytime you can make the most of the 650km of pistes across the Portes du Soleil, which provides as the perfect playground for every level of skier or snowboarder. From long open powder fields to the kids first ski lesson, the variety of terrain and skiing options is remarkable. The full PDS liftpass takes you across 11 resorts in Switzerland and France, and you’ll see some of the most stunning views in the Alps. 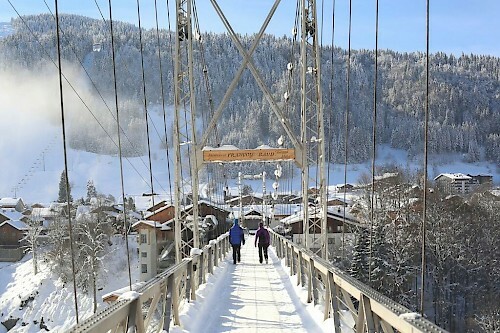 Morzine is a great place for ski touring, splitboarding and snow-shoe walkers, plus there are hundreds of restaurants to relax in when you feel like taking a break. When you’re not on the ski lifts, you can do a range of activities to keep you entertained. From sledding and husky rides to getting wet in a water park, there are fun activities for all ages. If you’re feeling extra daredevil-esq then you can try The Fantasticable which is now open in the winter! There are a whole host of big events during New Year week. The tourist office have daily events and the Morzine market on Wednesdays isn’t to be missed. In the evenings, bars have a plethora of great bands playing, which is a welcoming soundtrack to reflect on the previous year whilst enjoying a drink or two. On New Years Eve you have to check out the Morzine town square with live DJ and fireworks. A couple of thousand people head down to celebrate before heading to the local bars and nightclubs or headingback to their chalets. 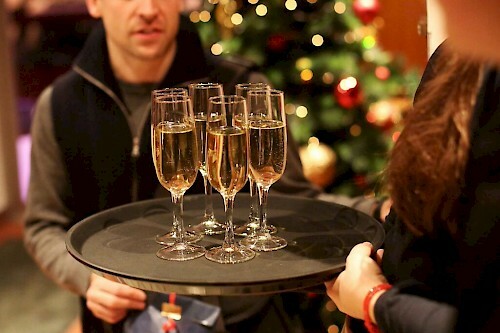 Mountain Mavericks will give you an extra special meal on New Years eve along with bubbly and canapes. On New Years Day you have to head up the mountains and take in the amazing vibe on the mountain. The smiles are extra big whilst you have the privilege to ski on January 1st and it’s a suiting way to get rid of any New Year hangovers! 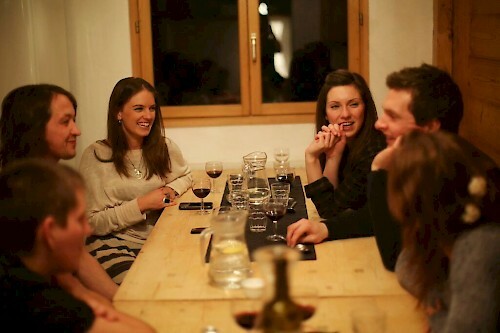 Get in touch if you’d like to book New Years in Morzine. We only have a couple of chalets and rooms in our hotel left so send us an email and start the (relaxing) process of New Years holiday to remember! Previous: Did Danny MacAskill just produce the most original bike edit ever?